Custom Test Solutions. That's what Emprise is all about! Aerospace, automotive, industrial or alternate power, we build them all. Emprise delivers exceptional customer service, engineering expertise, and technical support to reduce development risks, improve the understanding of design issues, and quickly identify the right solutions. Decades of application engineering experience provides the perspective and knowledge to quickly prototype, build, and deliver components, sub-assemblies, or systems exactly to a customer’s critical requirements. Since 1985, clients have trusted Emprise with their Research & Development, Certification/Audit, and Manufacturing/Production test equipment and facility needs. Whether your project is a new construction, renovation or retrofit, we provide the test equipment and facilities integration knowledge to help you improve cost efficiency and reduce completion time. Our core mission is to deliver the functionality and performance your application requires. Committed to quality and responsibility, Emprise takes a single-source approach to delivering the optimum custom test solution for your requirement. As turnkey engineers, we design and build custom test facilities and equipment to suit almost any application. 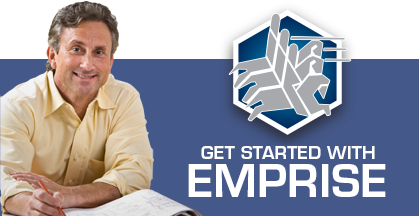 If you’re only looking for design services, Emprise’s licensed engineers can provide drawings and specs as well as construction management. If you know exactly what you need, we can start at once. If it’s a test facility, Emprise is already “up to speed”. If you don’t know exactly what you need, Emprise will get your project off to a sound start with our popular “Proof Design” service. Either way, our open business practice will keep you in the driver’s seat while our 30+ years in the business brings you an economical yet state-of-the-art testing solution. Thorough project documentation, manuals and open source code leave you in the driver’s seat when the project is complete. 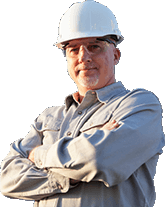 While we warrant all our work and are happy to provide service at anytime, we believe our clients should be able to maintain their own test facilities. We also believe that professional engineers should not offer or represent commercial products. Our engineers are well familiar with the marketplace and aim only to select equipment that is best for you. In other words, our equipment selections are made in your interest and only with your approval. One more thing about us, we believe that good engineers should work for free! Here’s how: The design fee for most projects amounts to only about 2% of the project life cycle cost. The engineer only needs one good idea to save much more than 2%. Conversely, a poor design decision could cause life cycle costs to skyrocket. Look us over and please contact us if you have any questions. We have some “good engineers” standing by! Contact us! We create turn-key About per your specifications and standard requirements.